Home Champions League Manchester United vs Real Madrid: Who Will Emerge Victorious in Epic Clash? Manchester United vs Real Madrid: Who Will Emerge Victorious in Epic Clash? Arguably the most mouth-watering of ties in the Champions League Round of 16 will be contested this Tuesday, where Premier League side Manchester United will take on Spanish Giants Real Madrid at Old Trafford. It’s Ferguson vs. Mourinho, Rooney vs. Ronaldo, Los Galatictico’s vs. The Red Devils. A true clash of the titans. The first leg of this largely anticipated Champions League tie ended in a 1-1 draw at the Santiago Bernabéu Stadium on 13 February. The result was deserving of both teams, as they were nearly inseparable for the duration of the match. It could have easily gone in either side’s favor, but the draw makes this Second Leg even more exciting and heart-wrenching for fans of either squad to watch! The match-up saw Cristiano Ronaldo make his first appearance against former club Manchester United since his departure from the club, and he marked this important event with a goal. Unfortunately for Madrid, though, Danny Welbeck also managed to etch his name onto the scoresheet, ending it in a draw and leading up to their Champions League rematch this Tuesday. Fabio Coentrao was inches away from putting Madrid up on the 5th minute thanks to a fingertip save, but Welbeck ended up being the one who opened the scoring on the 20th minute. United’s first real opportunity of the match turned out to be successful, as Welbeck caught Rooney’s corner with a powerful header that found the back of the net. United used Real’s weaknesses in set-pieces to their advantage, as Welbeck’s simple goal sent United fans into total chaos and jubilation. Considering the importance of the away goal in the UEFA Champions League, it will be crucial to United’s efforts in qualifying for the Quarter Finals if it ends in a draw on aggregate following the Second Leg. But Madrid managed to respond quickly, as Ronaldo scored a similar header into the corner following a cross from Di Maria at the half hour mark. It was 1-1, and the game was far from over. Yet neither team managed to net another in the final 60 minutes of the match, although both sides had their chances. De Gea made an unorthodox yet vital save for United, as he kicked Coentrao’s shot away from the goal as the Portuguese midfielder exploited a gaping hole in the United defense. Meanwhile, Van Persie had two great chances within the span of only a minute, but was unsuccessful, ending the game in a heated 1-1 draw and placing United as favorites to advance with an away goal advantage. Neither squad have picked up many major injuries, although some important players will be missing this match. Sir Alex Ferguson’s side will be playing without Fletcher, Scholes, and arguably most importantly, defender Phil Jones due to recent injuries. Meanwhile, Madrid will most likely be without legendary goalkeeper and captain Iker Casillas at this Champions League clash, due to a hand injury. Both squads have had similar records in their last 5 matches, picking up 4 wins and a draw apiece. They will certainly be in the best of form as the enter Tuesday’s match. Manchester United have gone their last 18 matches in all competitions unbeaten, all of which were crammed in a very short amount of time. Most recently, United recorded comfortable victories over Norwich City (4-0) and QPR (2-0). Meanwhile, despite an upset to Granada at the start of February, Madrid have certainly bounced back. They beat Sevilla with a 3-goal margin (4-1), as well as Barcelona two times in the past week, the first of which ended in a 3-1 win (Copa del Rey) and the second with the score of 2-1 (La Liga). Angel Di Maria has managed 4 assists against Manchester opposition this season: 3 against City and 1 versus United. This season, Real Madrid have racked up a total of 103 goals in 43 matches. The last time Los Blancos played at Old Trafford ended in a 4-3 loss, but the Spanish Giants moved on due to a 6-5 win on aggregate. Manchester United manager Sir Alex Ferguson does not have a great record playing against Jose Mourinho, winning only 2 times in a total of 15 matches. Meanwhile, Jose Mourinho has never recorded a win at Old Trafford. The Red Devils are on track to managing a treble this season, with their FA Cup, Premier League, and Champions League chances still very much alive. £24 million pounds? Injury prone? Past his day at 29? All these questions where thrown about the day Manchester United got their man Robin Van Persie. It was a gamble but my God did it pay off! Having already scored 19 goals in 28 games in his debut season, RVP has been seen as the man to guide United to their 20th title. He will certainly have a say in both legs. But the man everyone will be watching, a man who gained international recognition at his time with United, is none other than Portuguese International Cristiano Ronaldo. Sure, Real Madrid have a whole host of threats that could hurt Manchester United, but their main attacking asset will be Ronaldo. He has scored an amazing 39 goals in his 40 games this season, many times even single-handedly winning matches for Madrid. He is one of the best players in the world at the moment, having tallied up an impressive 24 goals in 25 starting appearances for Madrid this season. He may have Sir Alex Ferguson ruing the day he once let him go. 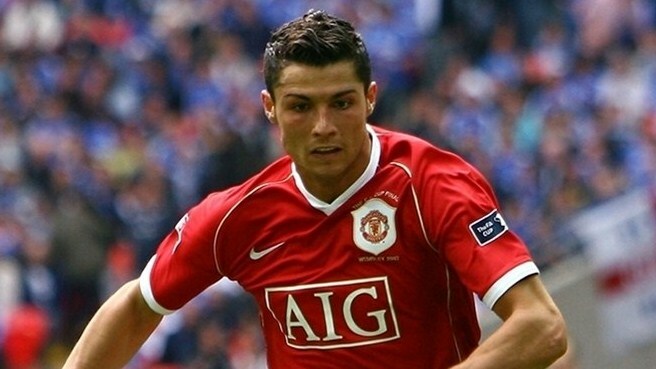 This is the first time Ronaldo will be returning home to Old Trafford after leaving the Red Devils for Los Blancos, and it will certainly be an emotional match for him as well as all supporters of Manchester United. But whether you love him or hate him, all football fans will definitely be excited to see Ronaldo make his epic return to United ground this Tuesday. I’m definitely finding it hard to predict this match-up. My heart says United, but my head says Real. Now that United have the away-goal advantage, Madrid will need to do everything possible to eliminate this advantage and advance forward. Like the First Leg, this game can easily go in either squad’s favor, but what I will say is that whichever team that advances will likely reach the Champions League Final, and maybe even go through to the end and win the ultimate prize!